While the majority of nonprofit staffers don’t have the word “marketing” in their title, it’s easy to argue that everyone is in the business of marketing. 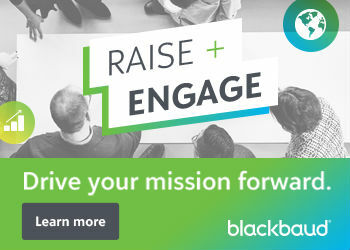 With a unified goal to share the mission of your organization and make change, every role takes on a bit of marketing responsibility. So why not take a page from the marketing playbook and use it to achieve your actual role’s goals? Marketing in its simplest form is using all devices and mediums available to promote a product, program, or service. 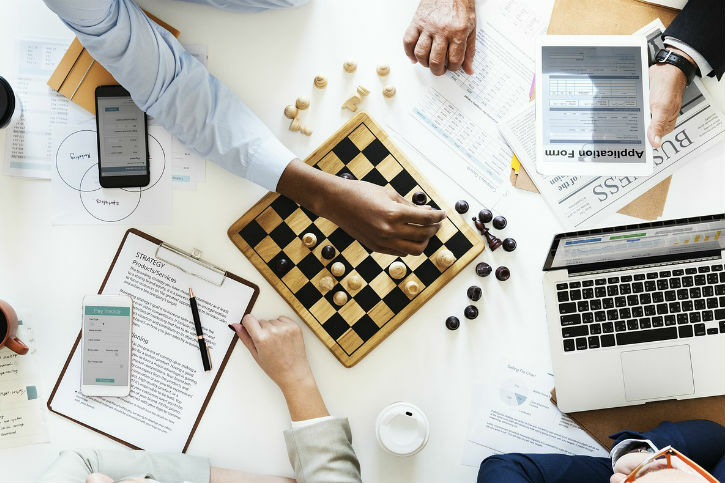 While your day-to-day responsibilities may not include content creation or SEO analytics monitoring, there are some go-to strategies of the profession that can help you achieve your goals, no matter what your role is. CTA stands for “call to action,” and can be expressed as both a concept and an actual item. Basically, what do you want people to do, and how are they able to quickly do it? While all are good, and quite possibly necessary for the health or your organization, see if you can pick just one. What’s the biggest, most important thing the public needs to do to help you succeed? When everyone in your organization is speaking the same language, the stronger your CTA becomes. Once you know what that is, you need to shout it from the rooftops. Or, as is often the case in modern marketing, place it in an eye-catching color within a button on your website. In the physical sense, a CTA is the button or link people can click on to perform your desired action. Make sure this button is everywhere a potential supporter could be, and make it easy for them to find and complete the task at hand. Make it a uniform look across your website, landing pages, emails, and even paper collateral. The more accessible and user-friendly your CTA, the more people will do it. KPIs are key performance indicators—the data points that help you decide if your efforts are delivering the results you want. Every element of your promotions can and will have its own analytics that you can track and review; for a social media post it might be impressions or likes, for a blog post views or click-throughs to your website. But when you select your top KPIs, you are determining the handful of overreaching numbers that tell you if you are succeeding. How do you pick? Start with that CTA. If your organization’s top CTA is to apply for a grant, it’s easy to determine that your top KPI is going to be number of grant applications received. Any supporting KPIs are going to be the things that might influence that first one—perhaps visitors to the grant application, visitors to your website’s page about your grant program, or click-throughs on the email sent to your list announcing that the grant application is now open. There are two common ways to then look at these collected numbers to determine real success. One is year-over-year comparison. If in 2017 you received 100 grant applications and in 2018 you received 150, one can assume things are trending upward. The other, and sometimes more interesting, way is to look at the KPIs as part of a journey or funnel. If 500 visitors went to your grant program webpage but only 200 went to the application itself and only 100 actually submitted the application, you start to see the conversion rates and where people are dropping off. Some drop-off is normal and expected, but major drop-offs indicate a potential issue you need to fix. Are you attracting the wrong people to apply for this grant, or using the wrong venues to reach them? Do you need to rework the language used? Is the application too confusing or long? When you combine these two KPI approaches and compare conversions year-over-year, you can see an even clearer picture of what’s working and what needs improvement. When every dollar you are able to save means more investment in your organization’s mission and programs, cost matters. For nonprofits, the concept of return on investment, or ROI, is extremely valuable. It asks: Are you getting the most out of a software platform, advertising run, agency, or campaign? Do the ends justify the means? ROI can be tricky, though. While some may want to look at it in black and white (the campaign cost $1000 but only brought in $600 in revenue), there is a lot of gray in marketing. You may have lost $400 here in direct cost during the length of the campaign, but are there intangibles you gained that could change the perceived value? How many impressions did the campaign garner? Perhaps all those views have dramatically increased your nonprofit’s brand recognition and over the next year, you’ll see more people attending your events. How many visitors came through to the site? Now all those people know more about your programs and may be more inclined to remember you during their next volunteer day. Did you get new subscribers to your newsletter? These people like what you are doing and want to keep in touch—they are prime for conversion to donors. All these new individuals could lead to thousands of dollars of donations in the future; they just need more time than that strict start and stop dates of the campaign allowed. If you look at the big picture, you might see that your ROI may eventually be well into the black, and thus the campaign is a success. All that said, know when something did not work and be prepared to end it and learn from it. 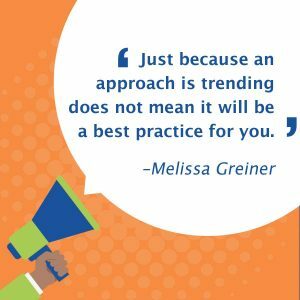 Your audience is unique and just because an approach is trending does not mean it will be a best practice for you. If you don’t see valuable conversion, consider the language, the imagery, the CTA, and the placement, and try again. Melissa is a journalist-turned-copywriter-turned marketer—while the job titles may have changed the goal has always been harnessing the power of the written word to share stories that engage, educate, and inspire. Melissa is the Marketing Director of WizeHive, a cloud-based SaaS platform designed to streamline the collection, review, and awarding of applications for grants, scholarships, fellowships, and more. She spends her days helping nonprofits discover the power of smoother processes, more flexible workflows, and stronger data reporting on their impact, and eventually sharing their real-world, really-important success stories with the #nptech community.